Whatever your fitness goals may be, a workout plan is one of the best ways to stay on track. Of course that's easier said than done, and one reason could be lack of motivation. Couch-to-5k is geared towards people who are new to running endurance races and helps people achieve their goal of running a 5k. 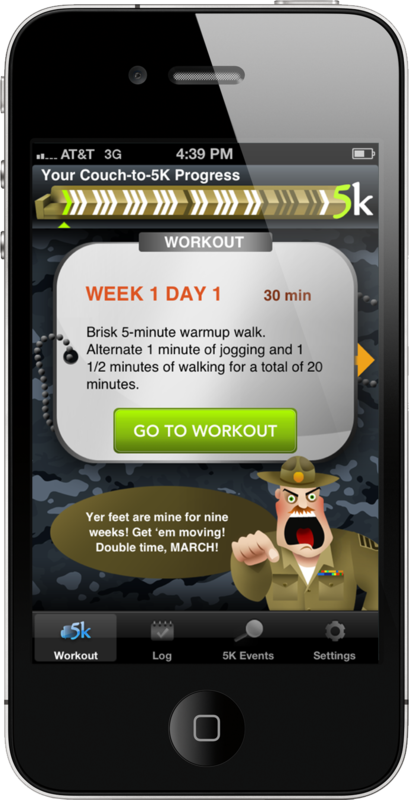 Instead of writing down a training plan on paper (or on your hand), Couch-to-5k is facilitated by a virtual trainer with a real human voice so the user can concentrate on running and their surrounding environment. Another driving force of motivation is being able to see your progress visually. A workout journal keeps track of your efforts and allows you to share progress with the rest of the Active.com fitness community. Positive reinforcement is a beautiful thing.